Network Protection – Are you being too cheap? Someone who helps you build a cost-efficient online infrastructure that meets your requirements (so you do not pay too much!) And scale as necessary. Someone who answers your questions when you need and someone who always thinks in terms of making better of your cloud. In other words, someone who has the services, products, and expertise so you can succeed. We work with you to a cloud environment designs to meet your unique requirements. Because we do this with you from the beginning together, the solution scales as your business grows and traffic increases. We know for sure that your workloads always run like a charm with the monitoring tools. And if you want we can also react directly in your cloud environment issues and provide troubleshooting. Keeping track of multiple workloads that are in design, test or production phase requires a high level of technical expertise. Our technicians have the skills and the drive to your cost-effective cloud environment always run at 100%. We are always available to help you, day and night. So you always have all the help you need. Support via chat, tickets, and phone to reach any hour of the day. We look at the workloads that you want to run, and on that basis we provide advice on planning, designing and deploying your cloud environment that is made based on your unique requirements. We help you understand what cloud services are best suited for your situation. Together we combine products such as load balancers, backup, databases and monitoring, and give you advice on the configuration and management of these services. We examine your workloads for potential vulnerabilities and provide recommendations on how to organize your safest possible configuration. We help you organize your cloud infrastructure when it comes to scalability. So you are prepared for future growth or sudden spikes. We are proud to be the best, so we stand behind the products and services we offer. We, therefore, issue a strong Service Level Agreement (SLA). we install, configure, patch, monitor and troubleshoot various versions of Linux (Debian, Ubuntu, CentOS and Red Hat Enterprise Linux), and Windows Server. MySQL – Available on Windows and Linux. Support includes configuration, patching, monitoring, and troubleshooting. Microsoft SQL Server – Available on Windows. Support includes configuration, patching, monitoring, and troubleshooting. MongoDB – Available on Linux. Support includes installation. PostgreSQL – Available on Linux. Support includes installation. We configure, monitor and troubleshoot Cloud Databases. This includes provisioning and management of your instances and users. We also help you to backup and restore data. We custom configure monitoring alerts for your cloud infrastructure, including the supervision in the field of content URLs, ports, and ping. We also check the CPU, memory, and hard drive. We also make recommendations if a warning should be given, and we look your Cloud Monitoring API requests and responses. This entry was posted in Cloud Computing, DedicatedSolutions, Hosting Services, Managed Services, Private Cloud, Public Cloud and tagged DedicatedSolutions, hybrid cloud, Managed Hosting, Managed Services, managed solutions, Private Cloud, Public Cloud on May 1, 2016 by marketing. Long gone are the days when IT organizations were solely responsible for the management and execution IT services. Today, companies have at their disposal a wide range of options when it comes to where and how to obtain the services. They are no longer forced to standardize a single dispensing method or a single provider for the entire organization. Now, companies can leverage a combination of internal and public computing resources to take advantage of new options and obtain competitive prices for changing workloads. The result is an IT landscape rapidly change, characterized by a set of services private and public clouds, known as a hybrid cloud. As the hybrid cloud become more prevalent, IT organizations are increasingly covering more the role of broker, acting as intermediaries between the cloud service provider and the rest of the company. They must face several challenges in their efforts to connect and manage data across hybrid environments. In this context, one of the main challenges that companies are facing is represented by the necessity to connect, move and manage data in these hybrid environments. It showed that IT organizations continue to have difficulty in moving and managing data in a hybrid cloud environment. 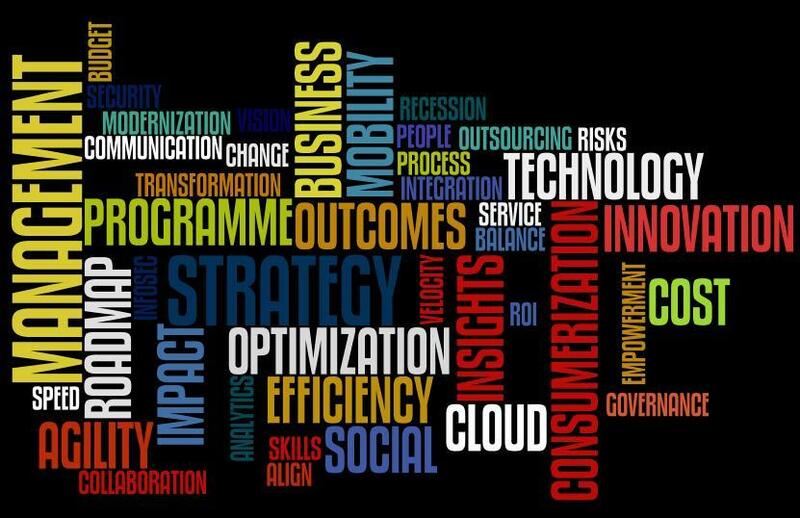 To optimize business benefits of the cloud, they must find ways to overcome these challenges. IT systems are not static entities characterized by a predictable growth. With the advent the cloud, IT infrastructures are rapidly growing. The study by IDG found that IT services delivered via the cloud will increase 35-65% in the next three years as the organizations will continue to move its services architectures of IT on public, private and hybrid clouds. With the rise of cloud deployments, the IT organizations seeking to capitalize on many benefits. The main advantage is the ability to scale vertically or horizontally according to business needs. This flexibility enables organizations to use only the resources required at any time. Other benefits that organizations are getting from cloud deployments are reducing the downtime and planned outages, the ability to buy and use resources according to needs and greater IT/cost efficiency lower. What is delaying these cloud deployments? It indicates the inability to manage data in on-premise and cloud environments. IT organizations have different combinations infrastructure, computing and storage resources in the cloud compared to the data center. Storage and data management in this mixture of resources is a challenging task, as well as being critical. You can outsource the computing tasks or applications, but once the data generated, it is forced to control them as long as they exist. One way to check is data in its data center; another is to do it when Data are in different environments. Other challenge areas are different data management zones, including the data protection, application performance, and data governance. All these obstacles indicate a lack of control. Once the data leaves the corporate data center, IT organizations have little control or visibility into security mode and data management, and service level that they are provided to ensure availability. To further complicate things, each cloud service provider uses different protocols, platforms and technologies that need to be managed in relation to the data. A service provider may use a method of archiving of data particularly with respect to another service providers and both approaches could differ from the way in which the organization stores data in its own data center. The IT organizations must be able to move the data between public cloud is both inside and outside the own private cloud, to meet changing requirements and optimize flexibility and scalability benefits of the cloud. The cloud services are evolving, and the providers are offering new options, but it is not always in their interest to allow navigation some data. As IT organizations play an increasingly important role as a service broker for business, they must take responsibility for ensuring the seamless integration of multiple technologies vendor. In fact, they need a data fabric in able to weave together the disparate elements of the Hybrid Cloud in a single integrated architecture. A principle operating model for the data, which It provides consistency and improvements in efficiency and control. IT organizations may retain the best practices business and operational at all points of the cloud. A standard data format, which can reduce the number of rewrites on a large scale. A standard data format enables IT organizations to move applications in the cloud in the fastest way and improve innovation. The ability to move data from one place the other, to make sure that the data they are in the right place at the right time, so you can access them conveniently and efficient. In the future, hybrid IT infrastructures will become the norm. To take advantage of the flexibility, uptime and model pay-as-you-go cloud, IT organizations must be put in a position to adopt the hybrid cloud on its own terms, maintaining control of data on a wide range of public and private cloud resources. This entry was posted in Cloud Computing, Data Migration, DedicatedSolutions, Private Cloud, Public Cloud and tagged data management, Data Migration, DedicatedSolutions, hybrid cloud, Private Cloud, Public Cloud on April 18, 2016 by marketing. The ever-increasing expectations of customers and the ever shorter innovation cycles have a fundamental reorientation of the IT landscape and the underlying unavoidable control mechanisms. The biggest mover among the technology trends in 2016 compared to previous years is the Design Thinking. More and more companies use design thinking to target better their products and services to customers. IT budgets are an absolute top priority of CIOs. In 2016, however, the design thinking form the basis of many transformation projects that need to be orchestrated by CIOs. Business Intelligence and analytics have long been one of the CIOs top priorities, and although new investments press on, it will also in 2016 be number one on the list. In Gartner survey of 2,944 CIOs from 84 different countries, CIOs responded that BI/analytics will be the first place for investment with 50 percent of CIOs had this area in the top three of their investment priorities. While the mobile solutions and CRM are a lower priority of CIOs in 2016 than in previous years, there are also areas that they now prioritize higher than in the past. When CIOs asked what their biggest challenges at the moment, the answer is that the lack of the right people and squeezed budgets. Nearly 59 percent of CIOs think we have a decided talent crisis, however, only 17 percent of respondents who actually believes that the lack of the right skills prevents them from reaching their goals. The survey also shows that more and more CIOs are beginning to work with so-called bimodal IT where one splitter IT organization into two departments. It is done to be better able to work at different speeds and cope with both the traditional operation and the more agile and innovative IT projects. Traditional outsourcing contracts that promise guaranteed cost savings of 10 to 15 percent per year over a period of 5 to 10 years have become the significant exception. The demand for flexible cloud solutions, which are now also increasingly provided locally and which make it possible to respond to short-term changes in demand through appropriate consumption adjustment. In the medium term, all new IT initiatives on new technologies such as cloud services, big data and analytics, mobile computing and social media will take priority. In the long term, budgets are increasingly spent on new things that were not feasible on the ancient architectures and technologies. New digital products and services will be in focus. A new information framework will be required to support the product development, delivery, quality, and growth. By 2018, at least, half of IT spending will be channeled into cloud-based solutions. Without cloud services nothing will go in the future, because cloud forms both the basis for new digital products and services. To meet these challenges, CIOs should rethink their management model. In reality, hybrid cloud landscapes will be implemented that can be used to integrate and management for IT organizations. This entry was posted in Big Data, Cloud Computing, Data Centers, DedicatedSolutions, Managed Services, News, Private Cloud, Public Cloud and tagged business analytics, Business Intelligence, Data Centers, IT services, Private Cloud, Public Cloud on January 31, 2016 by marketing. Pressure on teams of information systems departments has never been greater and missions tend to move to support better the company’s growth ambitions. Beyond maintenance of computer systems, it is about agility, innovation and cost efficiency to meet the expectations of business and those of clients. The need to expand operational efficiency and meet consumer demands require a faster IT operation for brands and retailers that put international development in neighboring countries or emerging countries as a priority. It is vital to have the ability to reduce the “time to market” to quickly generate growth in these new markets. It is a real challenge for the company to dispose of adequate resources and technical expertise to manage in-house data centers, security, legal, content syndication, currencies or languages ​​of the countries where it operates. To provide an effective operational environment, CIOs must be able to offer turnkey solutions, to capitalize the best practices to all regions and integrating local specificities. It is to avoid having to redevelop and support multiple platforms, technologies and custom developments in each new country. While the consumer appears to have naturally integrated digital appearance throughout their buying journey, the omnichannel remains a difficult subject to grasp. The merger between e-commerce and physical commerce led these companies to streamline information systems and silos to provide an overall experience seamlessly. Making the choice of a global platform and natively omnichannel allows you to make features that are found in stores on e-commerce sites. The modernization of trade requires a new type of infrastructure that supports multiple channels, diverse and evolving. Today, one of the primary concerns of CIOs is to ensure the smooth operation of their trading platform. The Cloud is the most innovative solution adapted to the new challenges of digital commerce that allows IT to streamline effective and efficient infrastructure to implement rapidly innovative projects. Companies that adopt a cloud solution reduces the complexities of multi-brand trade projects compared to companies operating a traditional software solution. Thus, the company can focus on what it does best – to develop its competitiveness, growth, and customer relations. 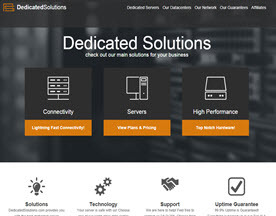 DedicatedSolutions provides single server, multiple load balanced servers, and customized global solution that spread across various data center locations for your single website, social network, eCommerce platform or any of your small, medium, or large requirements. Our experts will help you to transform a single server as a web server. This option is recommended for small/medium website owners who require server scalability, security, and performance. 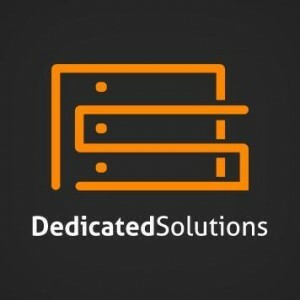 DedicatedSolutions serves you better with our multiple load balanced server solutions for your high traffic website hosting requirements. We allocate multiple dedicated/cloud load balanced server infrastructure for your website hosting to ensure high availability. This entry was posted in Data Centers, DedicatedSolutions, Hosting Services, Managed Services, Private Cloud, Public Cloud and tagged Custom cloud solution, DedicatedSolutions, e-commerce, Managed Services, Private Cloud, Public Cloud, web hosting on December 12, 2015 by marketing. This entry was posted in Colocation, DedicatedSolutions, Disaster Recovery, Hosting Services, Managed Services, Private Cloud, Public Cloud and tagged Cloud Hosting, DedicatedSolutions, Hosting Services, Managed Services, Private Cloud, Public Cloud on October 25, 2015 by marketing.